With high-technology advancing forward, one of the greatest benefits the internet brings to you is the endless huge amount of information you all have access at your fingertips. But the biggest challenge and obstacle for you to encounter is how to make the best use of all that precious information. Although there are many opportunities for learning, you may still feel at a loss about how to apply theories into practice due to unorganized online resources that often spread out in various places. Fortunately, you are so lucky to find that this niche has already been developed rapidly due to several organizations’ efforts and endeavors that you are accessible to the vast wealth of available knowledge. Still you may find it difficult to choose one that suits you best from so many wonderful education websites around, next we will provide you with an online courses websites list particularly helpful even though they are not as famous or as prevalent as some of the big names out there. These top 10 sites for education courses allow you to take educational courses in the comfort without spending much time in case that you are busy working but still desire to top up your knowledge or learn a completely new skill. 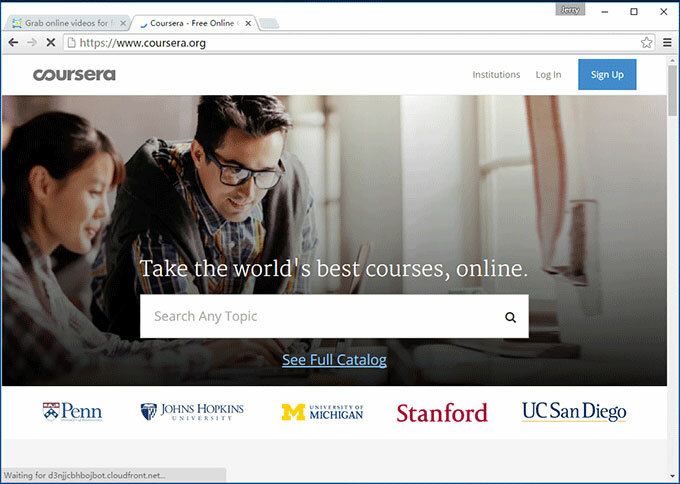 Coursera is one of the leading providers of MOOCs – massive open online courses and the top most online learning platforms. Coursera is a powerful tool for free online education, and includes courses from many top universities, museums and trusts covering dozens of wide different diversity of subjects available to choose from including lectures taught by university professors, discussion forums and quizzes. This brings a wide variety of topics and perspectives to one searchable database and gives the site an extremely wide range of in-depth courses. As Coursera boasts itself on being accessible to everyone, many of the courses are either free or very cheap to take, with only the official certification at the end having a higher cost involved. If you prefer learning in a structured classroom-style environment and want to expand your knowledge and strengthen understanding of the world at your convenience, Coursera is a great place to start your learning. 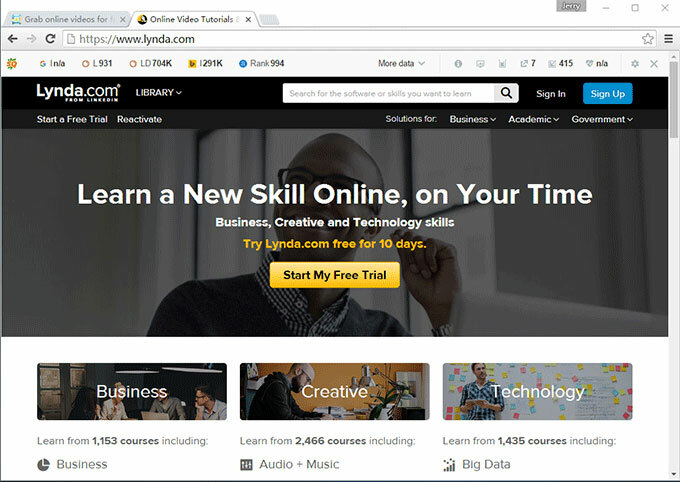 lynda.com is an online education company offering thousands of video courses in software, creative, and business skills. $29.99 average monthly cost for premium member allows users to get unlimited access to lynda’s library of over thousands of video courses covering a variety of subjects and also enables you to download the video lectures for offline viewing. The site’s software tutorials are particularly useful when it comes to the situation that you want to brush up on a program you haven’t used in a while or learn something special about a newly-released version of a favorite program. The site works with many top professors and schools in order to mix the customizable platform of other sites with a heavy emphasis on top quality content, which additionally allows users to build custom courses from lessons. 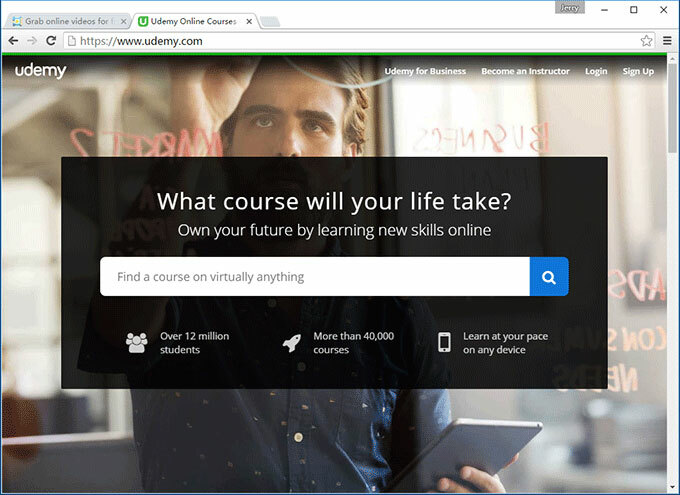 With an average of 800 new courses added to their repertoire every month, Udemy is a bit more expensive than its competitors. It brings you the feeling as if you were in a real-life class because of its complete learning schedule. 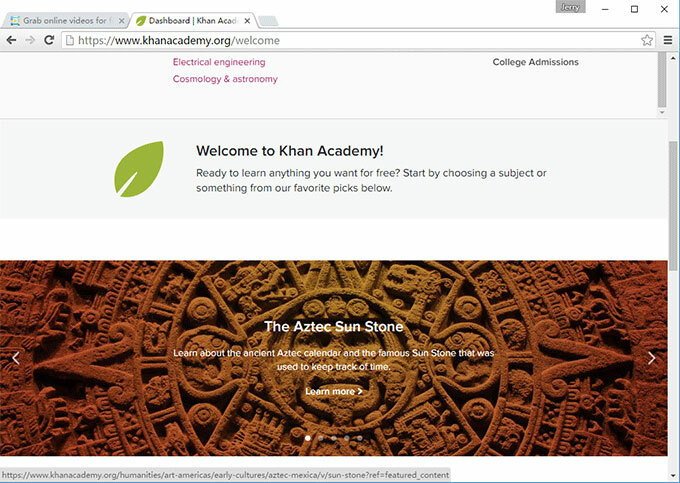 Khan Academy is a non-profit online platform providing a completely free library of educational “micro-lectures” covering more traditional academic subjects in math, science, economics, humanities, and a bit of computer programming and an organized series of mini lectures and interactive problems. Khan Academy offers not only an useable, well organized interface, but impressive depth on many different subjects, which may make it easier for users to keep learning. It’s up to you to decide whatever you prefer to learn and complete courses any time at your convenience due to its flexible learning platform. Above all, you don’t have to pay any fees without any subscriptions. Udacity is a platform with a strong emphasis on technology, with a small but well-crafted selection of courses mostly focused on science and math-related topics. 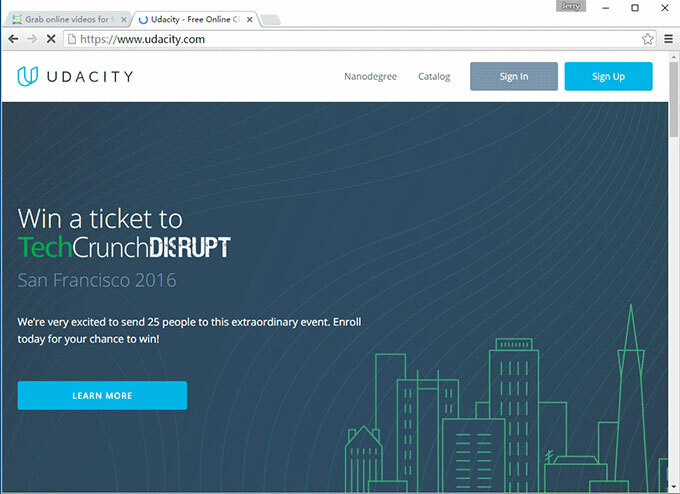 Udacity is free of deadlines, free of prerequisites, free of quizzes and other annoying school stuff. Needless to say, courses are also free of charge. What’s more, if you decide to drop a program before completing it, you pay for the course up to that point, rather than the whole thing which is quite considerate to save users’ precious time and money. 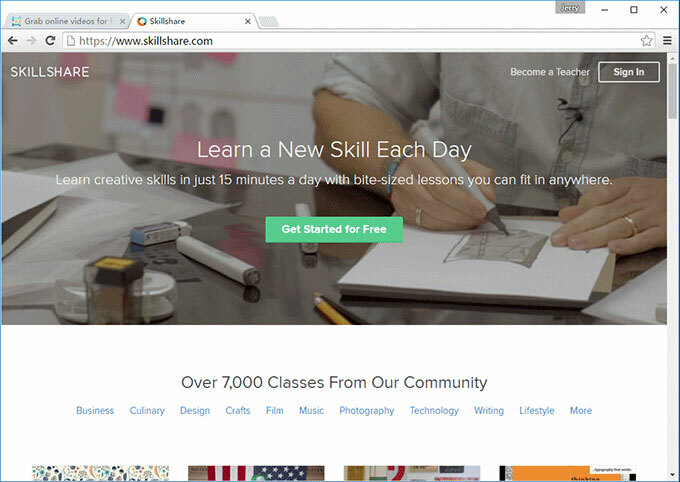 Skillshare proposes a new kind of model for online education—anyone can sign up to take a class, and anyone can sign up to teach one with a simple but meaningful tagline “Learn Differently”. The site has an incredibly wide range of offerings for people who are interested in technology and computers. If you are enthusiastic about showing your talent and skills, this is the definite perfect place for you to realize your desire. 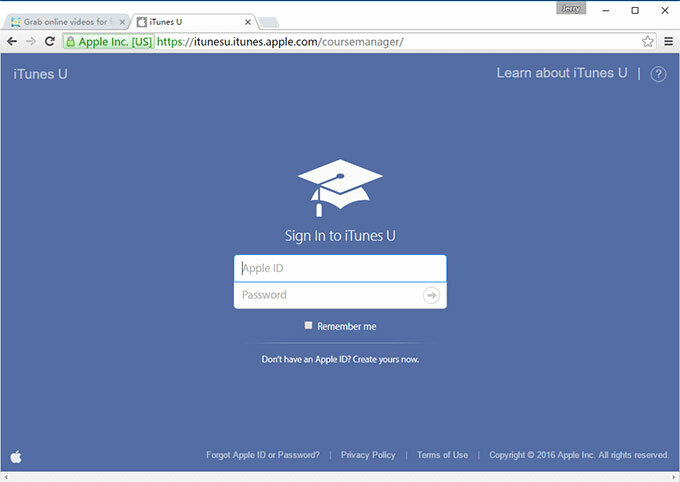 iTunes U is a very useful and content-rich place due to the reason that it integrates smoothly and seamlessly with your iPod, or any app-ready Apple mobile device. Users can search learning materials in many different ways, including genre and topic. The tool offers online courses with full lectures and it also grants you the ability to take notes on those lectures and assignments to continue learning outside of the lecture environment. However, iTunes U does not integrate with Android, Google or Windows mobile devices. 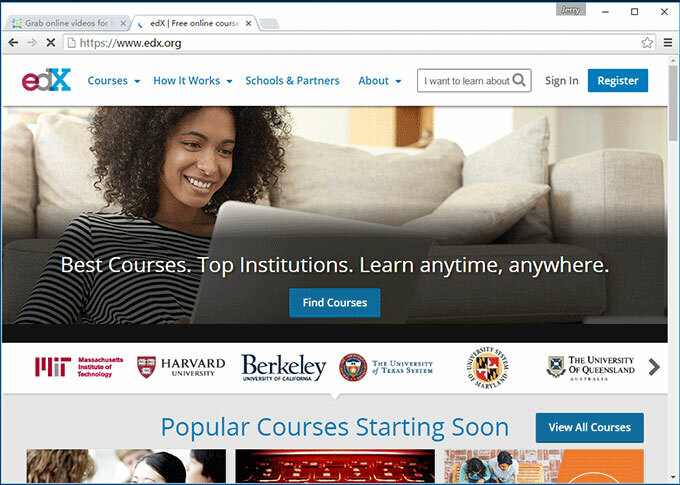 A very convenient place for free online education is EdX featuring “learning designed specifically for interactive study.” There are many online learning sites like Coursera and EdX is a representative one.The site currently offers online courses from top–notch universities like Harvard, MIT and Berkley, and plans to include classes from Wellesley, Georgetown, and the University of Texas as well in the future. EdX provides impressive courses with high quality information in hundreds of different fields from music to medicine for everyone. 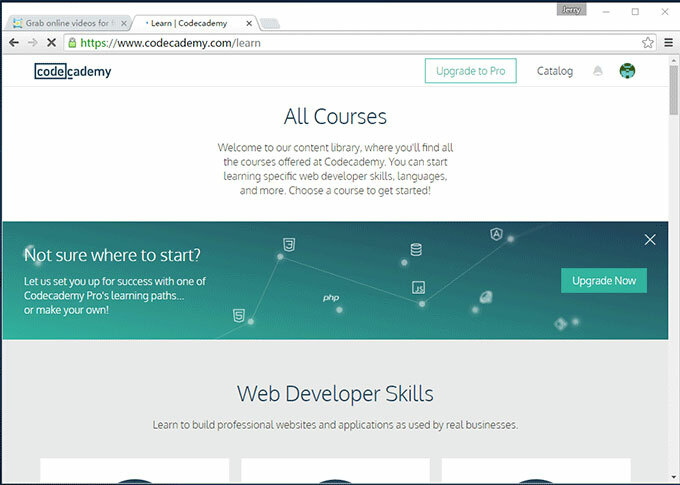 Codecademy is featured by its mission statement ”Come and help us to build the education the world deserves” and it is a website dedicated specifically to teaching coding. This site offers courses for users who can earn badges and increase their total score during the leaning period. Besides, this site is kind of addictive that will help you upgrade your coding skills and grasp any coding language as quickly as possible and bring far much fun for users to learn something instructive. 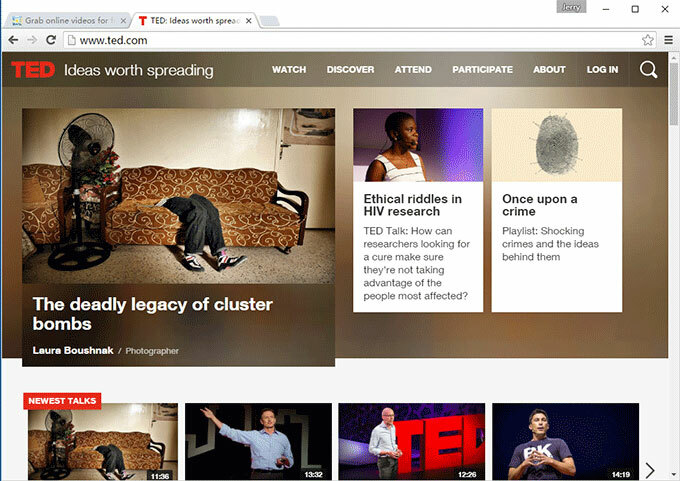 As known to most people, TED-ED is another great and convenient destination for more general leaning. This site brings you all encompassing, motivational web series and educational videos featured by vivid, impressive animation and appropriate video duration of ten minutes long or less. Supplemental materials such as quizzes and discussion questions are also available. Therefore this makes the site extremely helpful in formal education learning, as well as in advanced learning on new discoveries and topics in a more entertaining ways. These top online learning sites provide only a sample for free online learning available to anyone with a web browser and an Internet connection. But to succeed, a curious mind and a willingness to learn is a must and a prerequisite for you. In adidition, some people truly hope to use some useful tools to download desired videos for offline viewing in case that you are busy working and don’t have enough time to surf the internet for learning. Therefore you may need a powerful yet easy app Video Download Capture to help you download your preferred education courses for offline playback. It grants you the ability to download videos from Udemy, YouTube, Vimeo, Dailymotion, Tubechop, Lynda, and other online video sites. What’s more, you can use this smart app to convert downloaded videos to any media formats for all portable devices including iPhone, Android, iPad, PSP,etc. You just can live your life only once, so try your best to seize the day and learn as much knowledge as possible to upgrade your skills to a new level. Hence you will be capable of fighting for your fate and hold your destiny in your own hands with great possibility. There is a motto “it’s never too late to learn” which illustrates the significance of continuous learning, so navigate in the sea of knowledge and take a big leap in the future.